So, you would like to bring your child for baptism? What a joy! Please contact Pastor at 603-436-1704 to set up an opportunity to meet with pastor to discuss what baptism means for your child and what your child’s baptism means for you. Baptisms will be scheduled when meeting with Pastor. You may fill out a Request for Baptism form and email it to office@htelc.com to begin the Baptism request process. 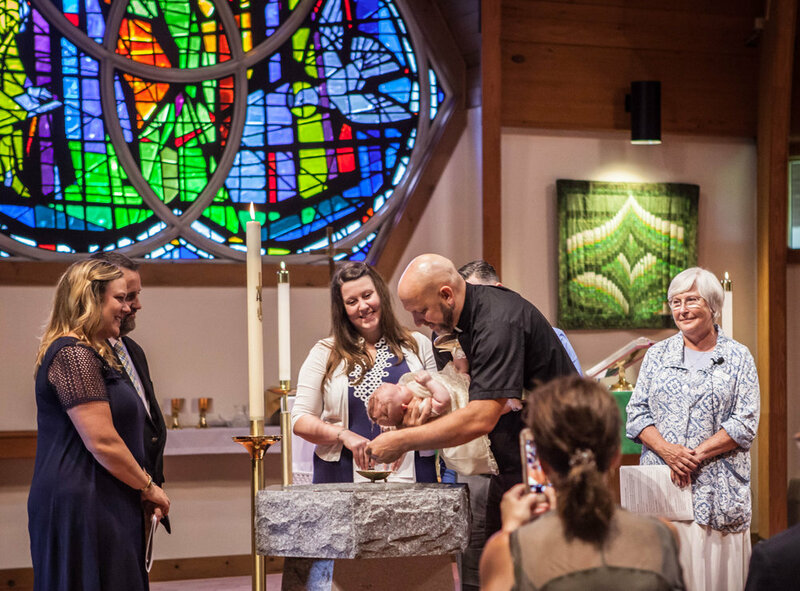 When bringing a child to baptism, you engage in the process of helping this child growing in the Christian faith. But the process does not end at the font—it is just the beginning. In the baptismal service the adults bringing the child promise to help the child grow in Christian understanding by placing the scriptures in her/his hands, teaching the child to pray, sharing in service beyond self, learning the Creeds of the Church, and living in communion with the Church. Let’s talk about your role in the process of living and sharing with your child and how Holy Trinity is in this with you. So, you would like to be baptized? Welcome to a significant step in your faith formation and development. God draws people to baptism at any and all ages. As an adult, you have the opportunity of growing in understanding as you prepare for your baptism. Please contact 603-436-1704 to arrange a meeting with the Pastor to begin this process of preparation.